In 1895 Amelia Dyer, a 57-year-old ex-member of the Salvation Army, set herself up in Reading, England as a childminder, or what the Victorians called a baby farmer. She placed advertisements in local newspapers offering her services. In March the body of a child was found floating in the Thames, a ligature around the neck. The body had been wrapped in paper bearing an address in Reading — Amelia Dyer’s address but when the police went to the house, it was empty. A week later, Evelina arrived to drop off Doris, leaving the baby, clothes and £10. 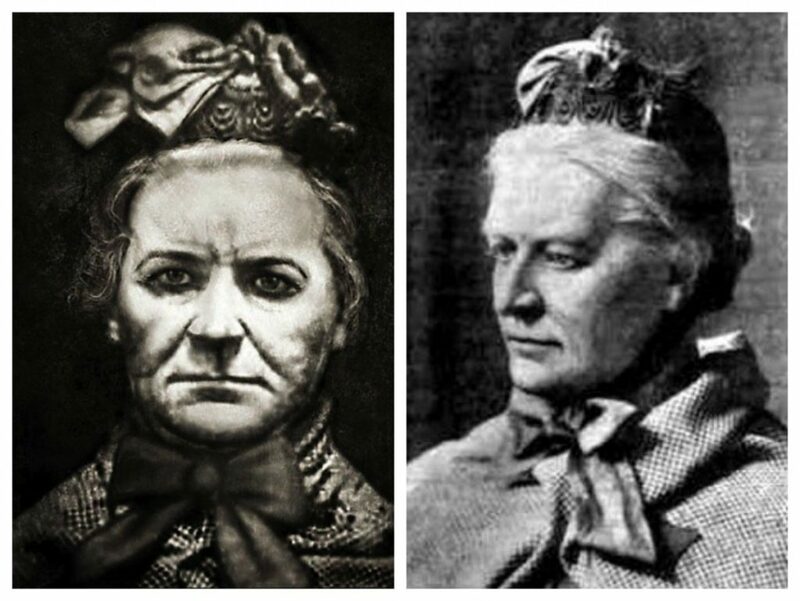 Mrs Harding was in fact Amelia Dyer and Evelina never saw her daughter again. On 4 April 1896 Dyer was arrested and charged with murder, by which time at least six babies had met their end. She was sending little children to Jesus, she said, because He wanted them far more than their mothers did. All the babies had been strangled and wrapped in paper parcels. “You’ll know all mine by the tape around their necks,” she told police. Amelia Dyer appeared at the Old Bailey on 22 May 1896 and pleaded guilty to the murder of Doris Marmon. James Billington hanged her at Newgate Prison on 10 June 1896. Two years after Amelia Dyer went to the gallows, another baby was discovered dead in a string parcel at Newton Abbot. She had been given to a Mrs Stewart to care for, for £12. Mrs Stewart was Polly, Amelia Dyer’s daughter.